“People’s daily”, Chinas größte Tageszeitung, interviewte Dr. Jørn S. Jørgensen, den Gründer und medizinischen Leiter von EuroEyes. Was er über sein tägliches Schlafpensum, das wohnliche Ambiente seiner Kliniken und chinesische Freundschaften zu sagen hat, lesen Sie im Interview. The 63 years’ old Dr. Jørgensen is handsome and energetic, looks like James Bond in “007”. Throughout the interview, I could feel his passion for eye surgery. Dr. Jørgensen was born in a family in the merchant ship industry. He was raised as the Heir. However, comparing to the family business, he’s more interested in delicate things. The art of surgery and its immediate benefits to the patients seemed to match so he made up his mind to become a doctor. After his education in the Eppendorf Hospital, he became an ophthalmologist and then he went to the United States for further training. In 1993, after he came back, Dr. Jørgensen founded his first eye clinic in Hamburg, Germany. 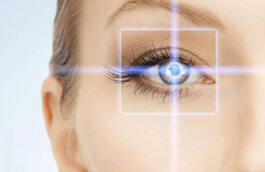 At that time, laser vision correction was still a very new technology, many people didn’t know that myopia could be treated by surgery therefore had many concerns on post-operational side effects. Rigorous as he has always been, Dr. Jørgensen brought this technology to Germany against great pressure and became a pioneer in this field. He also successfully changed cataract surgery to out-patient operation, which brought great convenience to all the patients. When doing operations treating high myopia, the cut made by Dr. Jørgensen is only about 2.02 mm. The smaller the cut is, the less loss of the cells, therefore faster recovery of the patients. 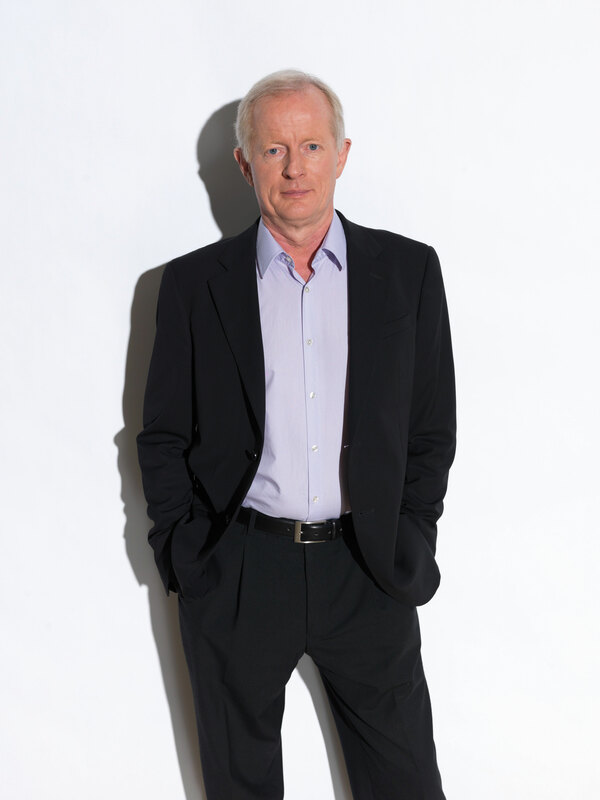 In the following years, Dr. Jørgensen opened 22 eye clinics in Europe. In 2010, he was listed by “Focus” one of the best doctors in Germany. He was also honored as one of the top ophthalmologists in the field of refractive surgery and cataract surgery in Hamburg. Despite his achievements, Dr. Jørgensen works hard as always. He is a “Superman” in the eyes of his employees. “He sleeps only 4-5 hours perday, sometimes sending emails at 23:00. He gets up at 4:00, 20 operations in the morning and another 10 in the afternoon.” However, Dr. Jørgensen doesn’t consider operations as tiring work, instead, it’s a pleasure for him. These patients are either high myopia or presbyopia. In 2012, Dr. Jørgensen made a courageous decision – to go to China and help them get rid of their glasses there. Many Chinese patients have concerns and hesitations when they first come to the clinic for a consultation. That’s why good communications were the most important. Dr. Jørgensen asks his employees, that very time before surgery, they’ll show an information document to all the patients. This document is about 3-4 pages, containing all the important information regarding the whole process, things to pay attention to, what happens before and after surgery and so on, very detailed with both text and pictures. He strengthens to the employees that warm and friendly consultations before the surgery can reduce the questions that the patients have after the surgery. Dr. Jørgensen also values the patient experience. He made sure that each clinic is comfortable: white front desk, dark red wall, scenery paintings on the wall. When patients wait, they can sit on the sofa and have a coffee while listing to the music. All hygienic and operational procedures are standardized. Even the sink is precisely designed to prevent water from spilling higher than 30cm. All injections must be screened to prevent pollution. Dr. Jørgensen is always warm with his patients at the operational desk. He helps the nurses to carry patients from wheelchair to the operational bed. He likes to make friends with the patients, taking photos with each patient after the surgery, and then sends it to the patients with a letter from himself “It’s a pleasure for me to become the vision care-giver of you and your family”. “China is a country that people like to communicate with each other. In Germany, patients don’t talk much to each other and rather do their own readings while waiting. But in China, patients love to talk to each other, patients that didn’t know each other can become good friends very fast” said Dr. Jørgensen. In such an environment, if he doesn’t do good surgery, the clinic can not survive. To keep the trust of the Chinese patients, the quality of the operations is the most important. Dr. Jørgensen remembers his first surgery in China was bladeless presbyopia surgery. When he was “cutting” a 2 mm cut with laser on the eye of the patient, he forgot about his pride of having done 100.000 operations and still did his best. He let out a sign of satisfaction only when the surgery was successfully performed. In the past 25 years, Dr. Jørgensen has performed more than 100.000 eye surgeries, including 50.000 cataract and glaucoma surgeries and 50.000 refractive surgeries. He devotes fully into each single surgery, believing everybody’s eye is unique. To help more patients get their vision back, he organized many charity trips to around the world. Peru, Dominican Republic, although the conditions are very hard in those undeveloped remote areas, he feels the value of a doctor when he sees the smiles and dances of the happy patients.